The Contemporary Pacific Arts Festival (CPAF) is an annual multi-disciplinary showcase of the creative talents of the Australian Pacific Arts Community. The Contemporary Pacific Arts Festival 2014 will be taking place throughout the month of March 2014. Through its diverse program, CPAF will share the unique stories of Pacific diaspora in Melbourne and more broadly Australia. Workshops and satellite exhibitions will be held across different Melbourne locations with the two-day main event taking place at the Footscray Community Arts Centre, CPAF’s key partner organisation. Lock in Friday 21st March for the CPAF Symposium and Opening night with an exhibition launch of Existence of Patterns and Saturday 22nd March for the big community day event Footscray Community Arts Centre. There will also be a series of workshops taking place across Melbourne prior to the festival and satellite exhibitions. Check out the CPAF Facebook page for more exciting programming and find out how you can be involved. Proposals for presentations are invited for the 2nd Contemporary Pacific Arts Festival (CPAF) being held at the Footscray Community Arts Centre in Melbourne, Australia from 21-22 March 2014. The CPAF symposium brings together creative practitioners, community elders, academics and arts industry professionals whose work engages with the contemporary Pacific in a one-day symposium on the banks of the Maribyrnong river. We welcome proposals from a variety of disciplines and perspectives that will contribute to the symposium discourse. Theme 1: Contemporary Performing Arts Practices. Theme 2: Pacific ways of knowing in contemporary contexts. Theme 3: Contemporary Pacific visual art, film and animation. Theme 4: Community arts and engagement. • Pacific art and entrepreneurialism. • Representations of contemporary Pacific gender identities in art and literature. Presentations may take the form of summaries or overviews of their work, and artists are invited to speak to examples of their practice. Presentations should be limited to 15 minutes and will be grouped according to topic or perspective into themed sessions. Time will be provided after all of the presentations for Q&A and group discussion. Authors are welcome to include visual supports to assist delivery of their oral presentation. Please note that we cannot provide photocopying facilities at the symposium, but we will provide a data projector with audio capacity in the presentation theatre. For more information on submitting your proposal and registering for the symposium, please visit www.footscrayarts.com Registration: $20 – waged/ $10 unwaged/conc. Contemporary Pacific Arts Festival 2013 – see highlights and interviews with CPAF Elder Aunty Sana Balai and ‘Meleponi Pasifika’ exhibition artists Torika Bolatagici and Salote Tawale sharing some insights into their contemporary arts practice and artwork on ABC Arts. And last years festival on Urban Viti. There are many films about the Pacific but hardly any from the point of view of Pacific Islander’s themselves, even more so from that of the LGBTIQ community. Home Videos is a short film by Manukau Institute of Technology (MIT) Visual Arts student, Luisa Tora that follows on one day, three lesbians of Maori and Pacific descent “who live and love outside of central Auckland”. Home Videos responds to the dearth of stories about lesbians of colour in mainstream and LGBTIQ media in Auckland, the Pacific capital of New Zealand. “This film is an attempt to represent a sub-culture of the gay community without any mediation or editing of the facts, and by doing so documenting and validating its existence,” says Luisa. Luisa plans to make a full-length documentary next year on the issues raised in Home Videos. She cheekily refers to this short film as “a practice run” for the documentary. Home Videos (2013), directed by Luisa Tora. Featuring Molly Rangiwai- McHale, Sangeeta Singh and Luisa Tora. Home Videos will be shown in Suva next month at A Night OUT at the Movies presented by Drodrolagi Movement, along with short films by New Zealand artists Tanu Gago, Leilani Kake and Sangeeta Singh. 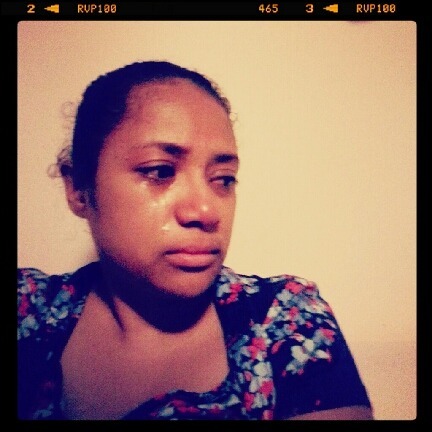 Luisa’s short film The Homecoming (2008) made in Fiji (http://youtu.be/vf4TWgUG4Zo) will also be featured. Click on poster to view details. My self-portraits are a visual autobiography that aims to convey what lies behind the surface at one given time each year – my birthday. Since 2010 I have been taking daily self-portraits starting 5th October and ends the day I forget to take one and restarts the next 5th October. Like journaling, I see these self-portraits as a way of documenting my life. The photos reveal personal secrets and a sense of isolation. Each portrait is an exploration of the self. 2010 daily self-portraits lasted only a few days because I was young and (thought I was and if I was being honest with myself still) in love and life was just too damn good to stop and take a selfie. In 2011 I started posting my birthday self-portraits on my Tumblr page, broken coconut. 2011 self portraits lasted 45 days before I just forgot to take a selfie one day. Such is life. Some of 2012 self-portraits were posted on my Instagram and that lasted only 29 days. The photographs may not be great in terms of traditional photographic standards of composition and form, but together they form a story of an intimate part of my life. My self-portraits are like a visual diary – I can look back and see what I looked like at a particular time and at times even remember what I was doing, conversations from that day and the emotional journey. Tomorrow I start 2013 birthday self-portraits and I’m not sure if I’ll continue to share them online as I have in the past. Social media and the digital era complicates definitions of the self and its boundaries. What’s ‘real’ and whats ‘virtual’? Am I taking photos for an audience? Or myself? This exhibition showcases a selection of limited edition linocuts; the First Editions resulting from Australian Print Workshop’s collaboration with Artists associated with the Oceania Centre for the Arts, Culture and Pacific Studies located at the University of the South Pacific in Suva, Fiji. Since the early 1990s, Australian Print Workshop has transported the workshop from its metropolitan Melbourne base, to locations around Australia and overseas. The Workshop’s sustained engagement with Artists living in remote and regional communities has been far reaching, and led to the invitation for Australian Print Workshop staff to travel to Fiji to work with a core group of professional Artists associated with the Oceania Centre for the Arts, Culture and Pacific Studies. Established in 1997 by Pacific philosopher and academic, the late Professor ‘Epeli Hau’ofa, the Oceania Centre’s visual arts community is made up of carvers, sculptors and painters. Prior to Australian Print Workshop’s association with the Centre, printmaking was not practiced. With a long tradition of carving and painted decoration, the art of Fiji Islanders translates beautifully to the graphic art of printmaking. Australian Print Workshop first visited the Oceania Centre in May 2012, with the primary focus of overseeing and assisting in the establishment of a small printmaking facility at the Centre and to introduce the art of printmaking to local Artists. In April 2013, Australian Print Workshop returned to conduct a follow-up workshop for Artists and to assist in the production of a body of work for public exhibition. Exhibiting artists include: Esala Talebula Caucau, Tomasi Domomate, Ben Fong, Paula Ligairua, Nemani Nabalarua, Kamla Naidu, Josaia McNamara, Ledua Peni and Josua Toganivalu. Ben Fong and Ledua Peni will be in Melbourne for the opening of their exhibition, and will spend two-weeks at Australian Print Workshop, working alongside the Workshop’s Printers to gain experience and to learn more about the technical aspects of fine art printing. For those in Suva 2nd Edition Oceania Centre Prints exhibition is on until 16 August 2013 at the Gallery of Oceanian Art at the University of the South Pacific. Gallery hours: Monday to Friday 9am – 4pm. Gallery open Tuesday – Saturday 10am-5pm. #2girls1conference Art Auction, a fundraising event to support Leilani Kake and Ema Tavola’s efforts to take Pacific arts from South Auckland to the world! Invited to speak at the Pacific Arts Association 11th International Symposium in Vancouver next month, Leilani Kake and Ema Tavola are presenting papers on grassroots curating, new media art making and Pacific audience engagement in South Auckland. After a successful PledgeMe campaign, Leilani and Ema have drawn on their networks to contribute artworks for this unique and one-off event #2girls1conference Art Auction, to support their travel and participation at the symposium. This is an excellent opportunity to invest in works by New Zealand’s most exciting contemporary artists, all with a strong South Auckland connection. With reserve on each lot set at $200 the #2girls1conference Art Auction features new and recent works by a diverse group of practicing artists. Works ranging from framed video stills, unframed photographic prints, painting, lithograph and digital prints to Czarina Wilson’s impressive one-off garment, “Maori Minx” made entirely out of a repurposed mink blanket and shown at 2011 Cult Couture Fashion Awards, there will be some very exciting purchases to be made on the night. Each contributing artist has a relationship with South Auckland through exhibitions and projects, education and advocacy. Their work, all with a significant link to the dynamic South Auckland contemporary arts scene, can be found in public and private collections both nationally and internationally. Artists include: Margaret Aull, Tanu Gago, Kerrie-Anne Van Heerden, Rebecca Ann Hobbs, Martin Langdon, Nicole Lim, Tepora Malo, Richard Orjis, Molly Rangiwai-McHale and Luisa Tora, Czarina Wilson, Ema Tavola, Benjamin Work and more! View the #2girls1conference Art Auction online catalogue here. Ten limited edition ‘Real Talk’ art prints by Tepora Malo will also be auctioned. Leilani Kake is a practising video installation artist and educator. Having exhibited broadly throughout New Zealand at venues including Auckland Art Gallery, City Gallery Wellington and Fresh Gallery Otara, Leilani has also featured in exhibitions in Australia, the Cook Islands, Fiji, France, Taiwan and the United States. She holds a Master of Fine Arts degree from the University of Auckland is currently completing a Graduate Diploma of Secondary Teaching. Ema Tavola is a freelance curator, writer and arts administrator. As the former Pacific Arts Coordinator for Manukau City Council (later Auckland Council), Ema was responsible for the management and curatorial leadership of Fresh Gallery Otara from 2006-2012. Having recently completed the delivery of a paper entitled, Pacific Art Histories: An Eccentric View at Manukau Institute of Technology’s Faculty of Creative Arts, Ema is currently focusing on completing a Master of Arts Management degree at AUT University. The #2girls1conference Art Auction is kindly supported by Te Karanga Gallery and kFM. Click here for Frequently Asked Questions about the #2girls1conference fundraising campaign. Newly appointed Director of Performing Arts at the Oceania Centre for Arts, Culture & Pacific Studies, Peter Rockford Espiritu unveils his latest creation, Men Dancing. Featuring the men of the Oceania Dance Theatre, PASIFIKA VOICES, Conservatory of Music, RAKO PASIFIKA, MR. GRIN & Tropic Thunda, and the Heavy Metal Crew. They come together to raise the positive consciousness of men through dance and music. Tickets on sale at the Oceania Centre for Arts, Culture & Pacific Studies; USP Book Store; Mango Cafe; Kahawa ; ROC; Holiday Inn; and Sea Salt Restaurant.